Over the last two years the SNP's rhetoric has shifted sharply left to win Labour heartlands, often in areas where Labour councils have, without protest, imposed the cuts handed on by the SNP government in Holyrood. But there is also a contradiction. Labour's policies today are to the left of the SNP's. In terms of spending the Institute for Fiscal Studies has found the SNP programme require more cuts than Labour's. Some of the SNP's signature left policies - such as restoring the 50 per cent tax rate on incomes above £150,000 and supporting all-women shortlists - are policies Labour has been signed up to for years. Labour is ahead of the SNP in terms of redistribution - lacking the nationalists' obsession with corporation tax cuts - and on commitments on workers' rights and the living wage. Even on public-sector ownership, Labour's step in calling for a public-sector operator for rail transport is preferable to the SNP's eagerness to hand Scottish franchises to private monopolies. The SNP and other pro-independence forces to its left have actually concentrated their fire on left wing Labour MPs such as Katy Clark, Ian Davidson, Jim Sheridan - friends of our paper, our movement and our class. The SNP has never claimed to be a class party. It is national in its aspirations. It happily deals with big business and the super-rich, from Brian Souter to Rupert Murdoch. If it eliminates Labour north of the border it will only increase the likelihood of a Conservative government after next week. This might well boost support for Scottish Independence. It would also spell disaster for working people in Scotland as well as England and Wales. THE TRUTH ABOUT THE SNP RECORD. DOES ANYONE GENUINELY STILL BELIEVE THE SNP RHETORIC?. Over recent days the lies of the snp have been catching up with them, from saying they will stop austerity they are now saying austerity cannot be avoided. This is not however what they say when canvassing where they are still claiming that the snp will end austerity, this is a lie. The snp’s raison d’être is independence yet they are saying “this election is not about independence” are they confused or again lying?. Sturgeon states that she wants to support a Labour Government yet no one can find a single snp member or activist who can bring themselves to say they would support Labour, this is lies on an industrial scale. The snp activists want a Tory victory which will allow them to blame England for Scotland’s woes under the tories. A fortnight ago the snp were labelling Labour as red tories and now they want to support our ‘progressive policies’ they want Ed Milliband as Prime Minister but are telling everyone not to vote Labour! They are treating people with contempt --- yet again. Meanwhile the low life fascist wing of the snp continue to use social media to abuse, bully and intimidate people who speak out against the snp. These tartanshirts also continue to claim that the referendum was a fix by the state despite their own party leadership accepting the result; these people are dangerous and sinister. The snp’s immediate response to it’s influx of new members was to immediately shackle them and prevent them from expressing an opinion by passing a vote at their recent conference which banned all members from expressing any dissent about snp policy, someone in the snp hierarchy has been boning up on German Nazi politics circa 1930’s. Contradictions (lies) abound such as “We want more millionaires, and any notion that an independent Scotland would be left-wing is delusional nonsense,” Jim Mather, the SNP’s Enterprise Minister in the 2007-11 SNP government. “we Scots. didn’t mind the economic side (of Thatcher) so much, but we didn’t like the social side at all.” Alex salmond. “ we need less bank regulation” Alex salmond just before the banking crash. They (the snp) promised that the average price of a barrel of oil would remain at $113 until 2020. And within months it had slumped to less than $50. the SNP has increased private health spending by 47% since 2011 and is now running at £100 millions a year. 4,500 jobs in the NHS in Scotland have been cut, 2,000 of them nurses. The main architect of these NHS cuts? Nicola Sturgeon. 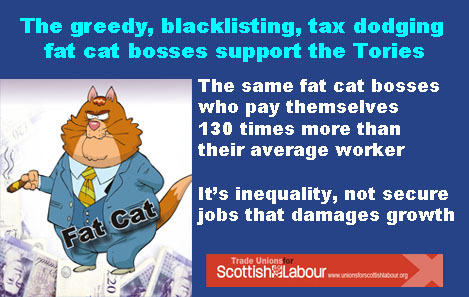 Council jobs and services have been decimated to allow the snp to buy tory votes by giving the rich tax breaks in the form of a local income tax freeze, corruption by another name. Nationalism wants you to vote based on where you were born no matter the outcome, in this way they will be able to claim with patriotic fervour ‘well it’s rubbish but at least it’s good old Scottish rubbish”. Labour wants you to vote based on what is best for your class no matter where you were born. Every seat won by the snp will be cheered to the echo by the tories, be in no doubt about that. If the Labour party were to form a minority government they would be vulnerable to the single issue politics of the snp, politics which have no concern whatsoever to working class aspirations. DON’T LET THAT HAPPEN. VOTE FOR JIM SHERIDAN LABOUR PAISLEY AND RENFREWSHIRE NORTH AND DOUGLAS ALEXANDER LABOUR PAISLEY AND RENFREWSHIRE SOUTH. LABOUR'S JIM SHERIDAN AND DOUGLAS ALEXANDER Are two of the most experienced politicians at Westminster, both have hard won reputations for being honest, diligent and local candidates who live in and know their constituencies. When you cast your vote for these two Labour politicians you can be sure that you are voting for two candidates who never cease fighting for their communities. 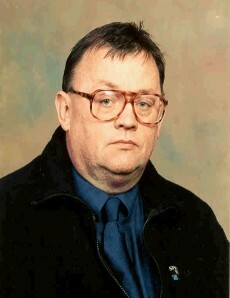 Both embody the finest traditions of the Labour Party and the Trade Union Movement, you can rest assured that they will both fight to protect the gains which have been won by the Labour movement through the years and also fight tooth and nail to protect the people against the greed and selfishness of the Tories and the crude politics of hatred which the SNP are so associated with. Voting for Jim and Douglas means we will continue to have two Labour stalwarts with the dedication and know how to rebuild and repair the damage done by the Tories over the last 5 years. April 13Th. 20 15. Coordinated orchestrated attacks already coming in from the snp/separatist/cybernats as a result of the issuing of The Labour Manifesto today which you can find by searching this address. The outbursts from this nationalist rabble are predictably abusive and full of squalid incoherent hatred . The thing which has created this "ferrets in a sack" reaction is the fact that the Manifesto and the changes it proposes are carefully costed and the snp by contrast are proposing more borrowing without saying how much and how they will pay back the money borrowed. When it comes to finances and economics this is looking like a rerun of the referendum. In fiscal matters they are being shown again to be utterly incompetent. Labour are showing a lead over the Tories UK wide, something that the snp have been telling us could not happen and that emphasises not only how untrustworthy they are but also their inept performance when it comes to financial affairs. The situation could hardly be graver nor the choice starker. If you want rid of the Tories the only way to do that is to vote Labour on General Election Day, every vote for the snp boosts the chances of Cameron and the Tories getting another 5 years. THE SNP ARE FINDING OUT THAT THERE IS NO PLACE TO HIDE. I have just listened to Nicola Sturgeon on TV, full of synthetic rage and refusing to comment on a question about the now famous leaked email where she declared her preference for a Tory government. She refused to answer because the questioner was quoting a high ranking snp official whom he would not name, who said that “a tory Government would be better for the snp”. News stories where the source is not disclosed are commonplace and no one exploits them more than the snp, this made her position on this look feeble and disingenuous. What people should mull over in all of this is what Nicola Sturgeon actually wants, I would suggest that her one and only wish is separation, does anyone disagree with me?. Her position for that reason is apolitical and always has been, using plain language, she will do and say anything to achieve success for the “cause” this is why the snp were able to bring Thatcher to power all those years ago by bringing down the Labour Government, they and she can and will continue to justify anything by telling themselves that it is the “cause” that matters, a position which has been taken by despots and dictators throughout history. It follows therefore that she and they are neither pro or anti Labour, neither pro or anti Tory, she is pro separation. Would Sturgeon and the snp support a Tory Government if they thought that it would benefit separation, help the “cause”?, you better believe they would, they would support anyone. The consensus among the news agencies and the political commentators backed up with polls and computer data was that no significant gains were made by any party following the leader’s debate, despite the snp attempts to declare Nicola Sturgeon the winner. The usual coordinated cybernat campaign to ‘big her up’ ran in to the ground because the rest of the UK was involved and they still stubbornly refuse to treat her and the snp as a ‘premier league team’. Her reputation was exposed as fragile when she tried to wrap herself in the cloak of opposition to privatisation of of the NHS, this was the big league though, and they remembered her tenure as Scottish Health Minister when she spent millions on private health spending. Her oft repeated sabre rattling about austerity as well was exposed and continues to be exposed as a deception through their past absurd claims about oil prices being the backbone of an independent Scottish economy. One does not need to be a Nobel Economic Laureate to work out that reliance on oil and it’s price falling from the snp forecast of $130 a barrel to $50 a barrel would have caused an unprecedented economic collapse, with no England to blame for it either, the stuff that violent government coups are made of and our Polish, Asian and other minority communities would have felt the brunt of it. The nationalists “land of milk and honey” Norway has had to devalue the Krone by 35% because of the oil price crash. The cuts which would result in such a scenario would be far in excess of any austerity cuts proposed by a Labour government. Sturgeon and her supporters seem to think that declaring a liking for children and a dislike for nuclear weapons will suffice as far as gathering votes is concerned. My guess is they are going to find that it is more complicated than that, they must be hoping that no one will bring up the actual attitude in Scotland to Trident which is not what they are telling people, the population I’m sure will see the obviously bogus position of making anti nuclear weapons a major plank of your policy while at the same declaring your support for NATO this is not only contradictory, it is insulting the intelligence of the Scottish people. Today’s hysterical snp reaction to Sturgeon’s comments display a party which is in a bit of a funk and really panicky. It’s getting interesting.